You never have to worry about being stranded when you call on us. With our 24/7 towing service and extended towing area, we are the only team to call when you are stuck. When you choose us, you are getting a team that can repair all kinds of diesel engines, transmissions, and drivetrains. Let us help keep your vehicle on the road with our routine maintenance service. As a family-owned business with over 40 years of experience, you can depend on us for all of your truck and equipment towing needs. We can also handle truck repairs. Choose our company to get the quality repairs you deserve. We can service and repair all makes of trucks, trailers, and RVs. From engine repair to transmission and clutch repairs, we can do it all. Call on us when you want the job done right. Our facility is equipped with full tractor and trailer capabilities. We can also repair your truck air conditioning. If you need a tractor trailer or heavy piece of equipment for work, you can't afford to have it sitting on the side of the highway for days. You'll get fast, reliable, and affordable towing when you call our company for towing, and you can trust that we have the equipment needed to tow heavy and medium duty equipment and trucks. As your local truck restoration center, you can depend on us to restore the beauty of your truck or equipment. With our ability to restore all different types of diesels from the frame up, your vehicle will outshine the rest when we are done. Check out this 1978 truck that was restored by our team.With our aluminum wheel polishing service, you can restore the beauty and shine of your truck or equipment. Put your trust in our experienced team to get the quality service your big rig deserves. Contact us today to learn more about our other affordable services. You'll love the quality workmanship and superior service provided by our company. 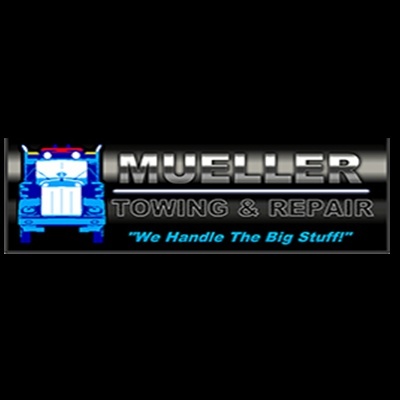 When it comes to medium and heavy-duty trucks and equipment, you can rely on the experts at Mueller Towing & Repair.